Facebook Introduces New Timeline that help you to express your own history! Since Facebook changes to new interface layout, you sure notice different in your Facebook. I think that Facebook added new privacy interface that help you can set up on your status, feeds, and etc. 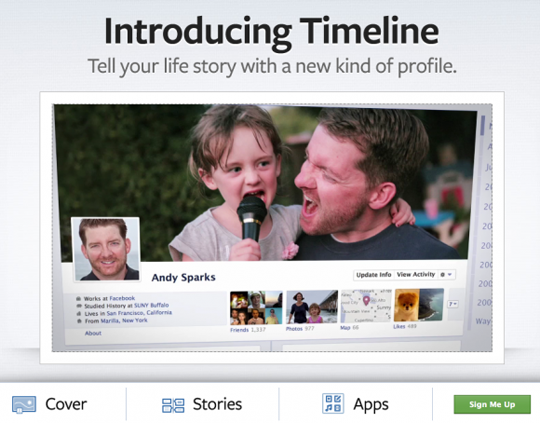 Today, Facebook introduces new Timeline cover your history life. 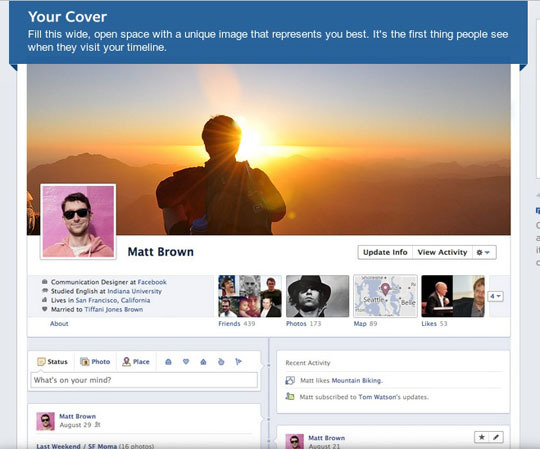 You can put your collection of all the top photos, posts and apps that help tell your story in your Facebook Timeline. See the sample of Facebook Timeline at http://www.facebook.com/about/timeline. You can scroll down past your cover, you'll see your posts, photos and life events as they happened in time. You can edit your own timeline, like choose what's featured on your timeline. You can star your favorites to double their size or hide things altogether. Don't worry, it sure get the privacy setting for you! Do you interested in this Timeline? You can click "Sign Me Up" button at your bottom. Once you click this button, you will notice what it says like, "Timeline is coming soon. We’ll let you know as soon as it’s ready". You will get informed soon! 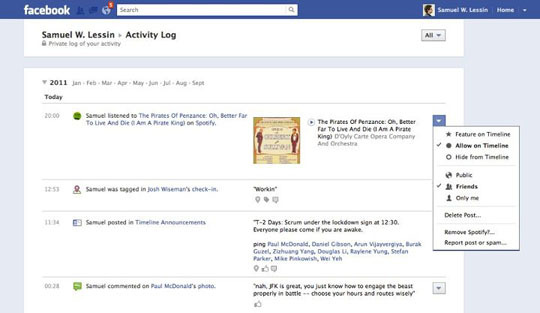 What are you thinking of this Facebook Timeline?